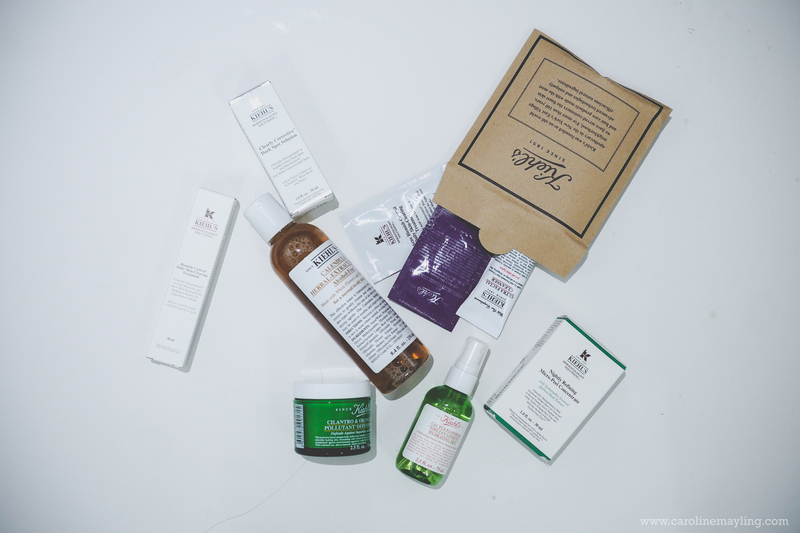 3 Surprising Perks of Kiehl's Online Shopping! 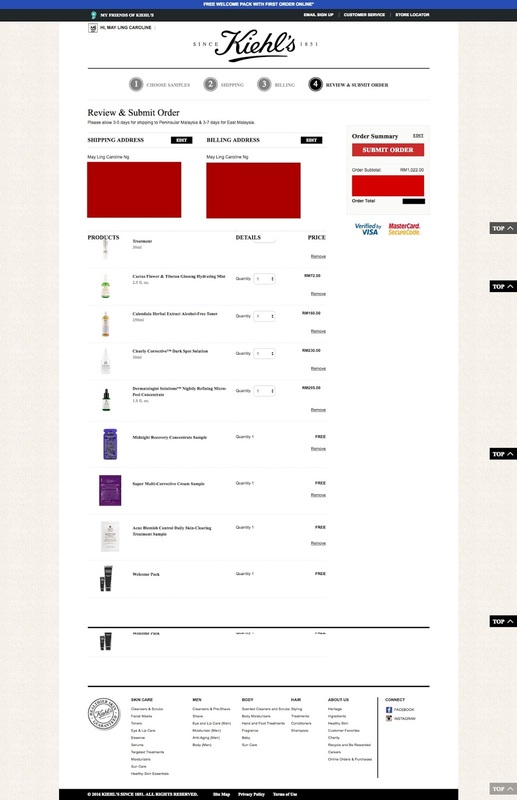 I love Kiehls, I love doing online shopping too. 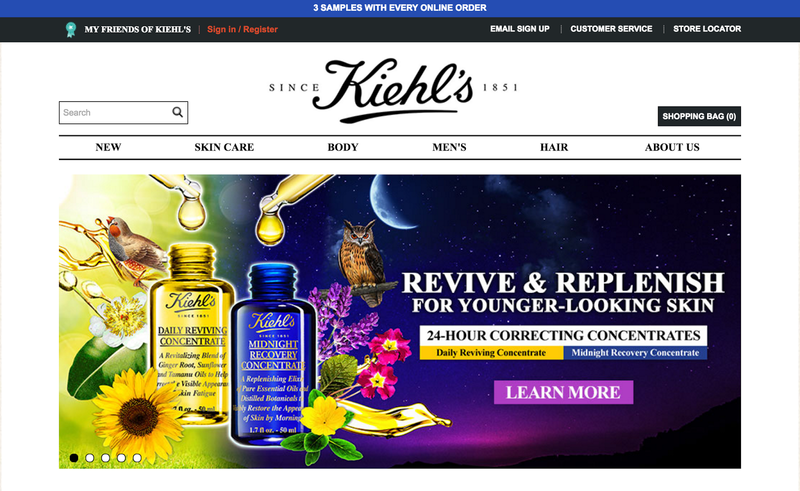 Now with the new Kiehl's newly launched online shopping site, you can have the best of both worlds! 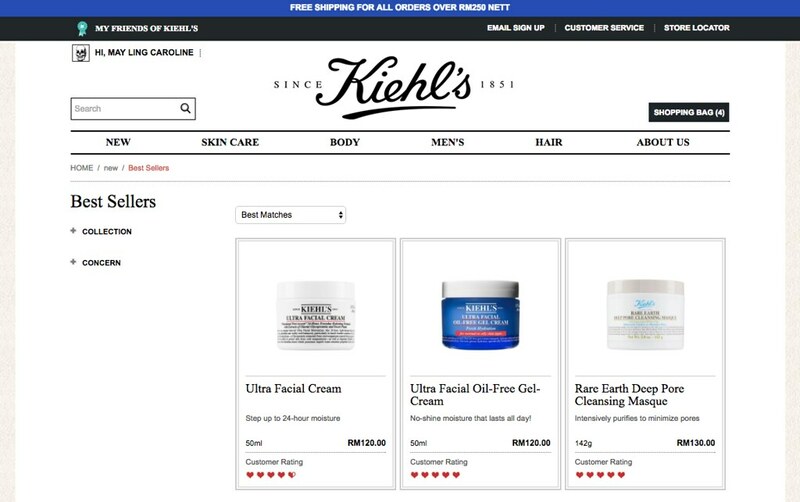 You must be wondering why would I do online shopping when I actually can drop by any of Kiehl's outlet to get my skin consultation and try out the samples in the actual store? The answer is simple - it's fast and convenient. The advantage that I got for myself is I fully understand my skin and what are the type of products that suitable for my skin. Lastly, I've been super busy with work lately and didn't even have the time to leave my home. Browsing products is easy as you either select from the categories or simply search the product name in the "Search" bar on the top left of the site. After adding all your desired products to your shopping cart, you may then proceed with selecting the samples that you would like to try. Then you are required to fill in your shipping and billing information details before proceeding to the next step. 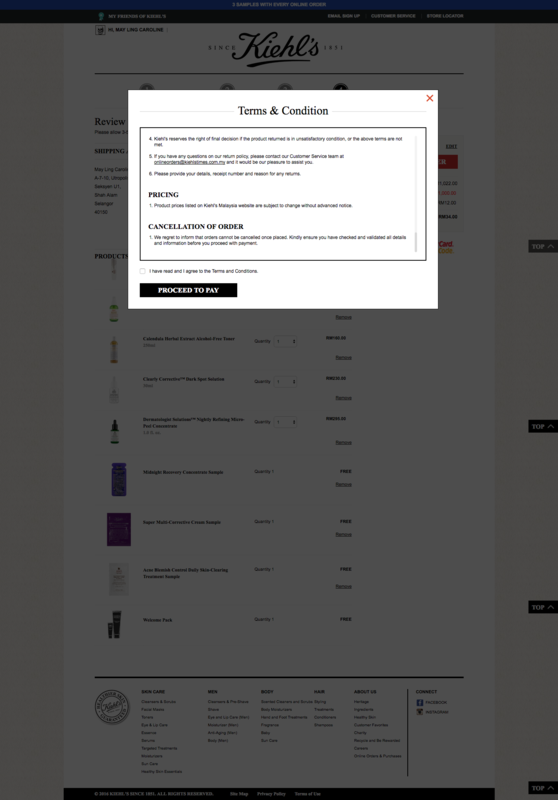 Upon submitting your order, you're required to tick the box to agree to the term and condition on Kiehl's online shopping site. Online shopping on www.kiehlstimes.com.my is easy. It only requires a few simple steps including as pictured above. There's one thing, though, I wish there'll be more payment methods available other than just credit card option. 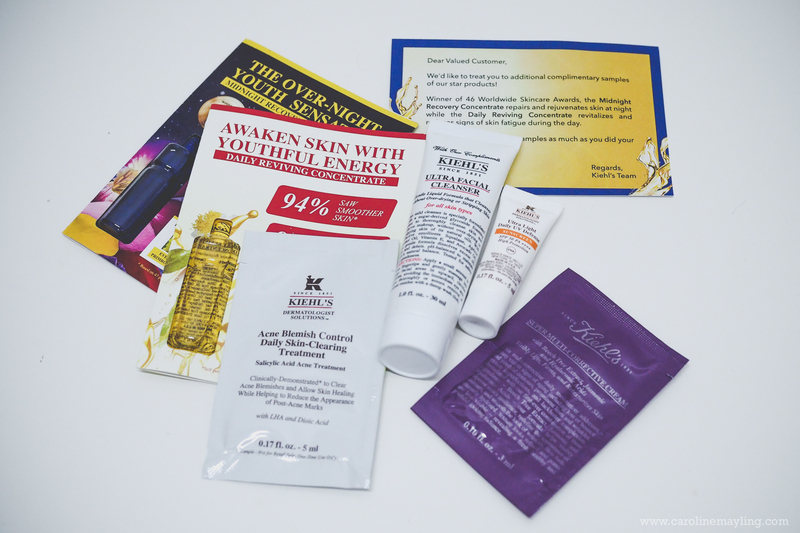 And oh, did I mention that you can get 3 surprising perks from doing online shopping on Kiehl's? Who would be expecting a 2-travel size product in the Welcome Pack? I mean, travel size products are everything to me, they are not the sachet sample sized products, but more of a deluxe sample that can last you at least 2-4 weeks! They are compact and perfect for travelling too! I actually received both Ultra Facial Cleanser and Ultra Light Daily UV Defense in travel size from my first order online! I bet all of the massive Kiehl's fans out there already knew that you'll be getting samples each time you made a purchase in their actual store. And hey, you will be getting samples when you ordering online too! I am feeling super pleased seeing these samples included in my parcel too - Super Multi-Corrective Cream, Acne Blemish Control Daily Skin-Clearing Treatment, Midnight Recovery Concentrate and Daily Reviving Concentrate. Make your first order and enjoy all the perks at www.kiehlstimes.com.my now! And, do not forget to LIKE Kiehl's on Facebook for more promotions info too! Garnier Micellar Cleansing Water: Worth the hype?